Get Dental Braces near Commerce Twp | Helping Patients in Michigan! Using the latest technology to straighten teeth, our Commerce Twp. dental office is your best choice for braces! At Sedki Dentistry, you will find affordable and effective orthodontic care. If you are considering early or adult orthodontic treatment, traditional braces, or new effective technologies like Clear Correct, our Commerce Twp. dental practice is your complete dental and orthodontic solution. We enjoy creating beautiful, healthy smiles for our patients. Our mission is to ensure you are comfortable from the second you enter our dental office. You will enjoy our personalized dental care from our friendly and knowledgeable professionals, in our welcoming environment. Dr. Sedki is a well respected dentist in his local community for over 15 years. Dr. Sedki in Commerce Twp., offers comprehensive and high quality dental services which include braces, dental exams, cosmetic dentistry, Invisalign, teeth cleaning, clear braces, dental implants and much more! Dr. Sedki also has affordable payment plans available to his patients. Our experienced team of hygienists have many years of experience and will make you feel comfortable and at home. 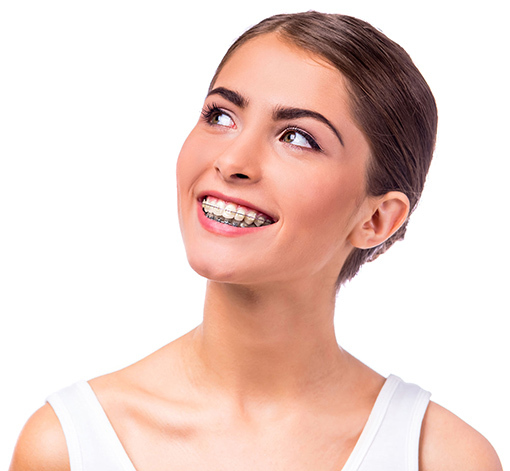 What Can Dental Braces Correct? Call Today and Let's Schedule Your Appointment! You will find our dental practice among the friendliest and accommodating to our patients. We make sure to present you orthodontic care that will fit your budget. We work with individuals of all ages, no matter if you are considering braces for your children, or if you need adult orthodontic treatment. Dr. Sedki’s mission is to improve the oral health of his patients. He will take the time to completely understand your orthodontic situation. He will start with a comprehensive exam of your mouth and teeth, and provide you with his recommendation for a new, healthy, and beautiful smile. Our financing team will work within your budget to find a solution. Individuals today more than ever have many choices for their cosmetic dental care. Our practice in Commerce Twp., offers effective solutions at an affordable price. Feel free to contact us to learn more, or browse our website for additional information on related cosmetic services including teeth whitening, dental implants, and dentures. More information regarding braces can be found on WebMD, oral health topics.